Happy Wednesday! I hope you're staying warm this winter. It's getting pretty chilly over here! 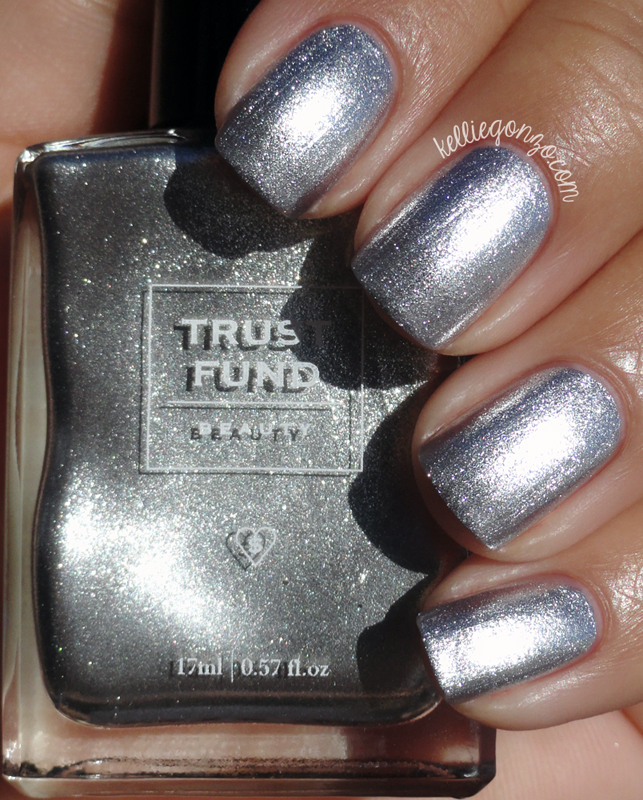 So today I wanted to show you two polishes from new boutique brand Trust Fund Beauty. Their polishes are 5-free, vegan and cruelty free. They also have fun "cheeky" names. Let's see how they look! 1st Degree Diva is a pretty bubblegum pink crème. The formula was easy to apply and self-leveled nicely. I used two coats here. This is Credit Card Workout, a silver foil. This is really smooth and melts into itself to make brushstrokes practically disappear. It is thin but opaque. This is two coats. 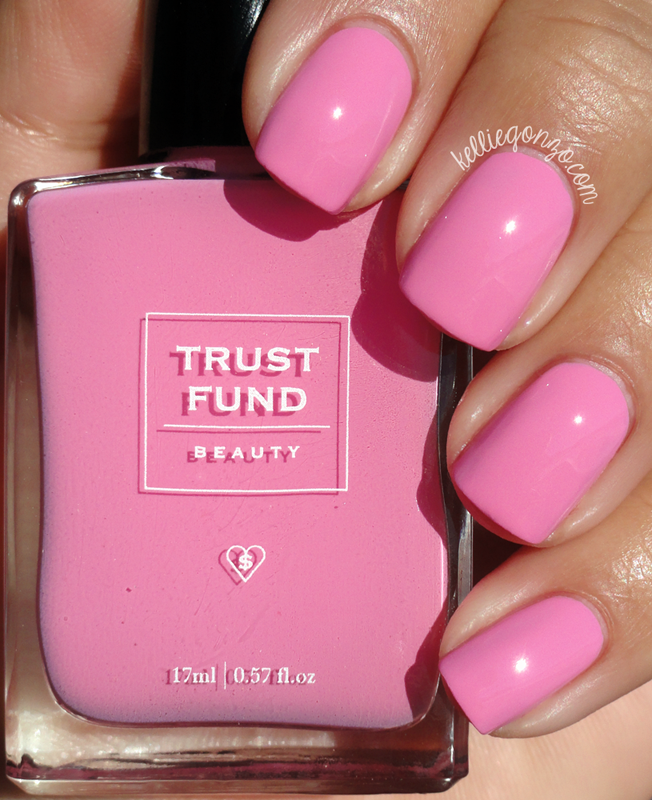 The Trust Fund Beauty bottle holds 17ml, a little more than your average bottle, is tall and rectangular, wide on the front with narrow sides. If you are familiar with the American Apparel polish bottles, they are similar. The brush is thin and round, a little skinnier than Essie's brush. I thought it would be difficult to paint with but I actually didn't have any trouble. I don't find their colors necessarily revolutionary, but the quality of these was very good. I wouldn't mind trying a few more of them. These polishes retail for $15 each on their website www.trustfundbeauty.com. What do you think of these? Have you heard of this brand yet?